Global Herbs GlobalVite is a feed balancer containing a high spectrum of vitamins and minerals to ensure your horse is getting all the necessary nutrients from their feed. 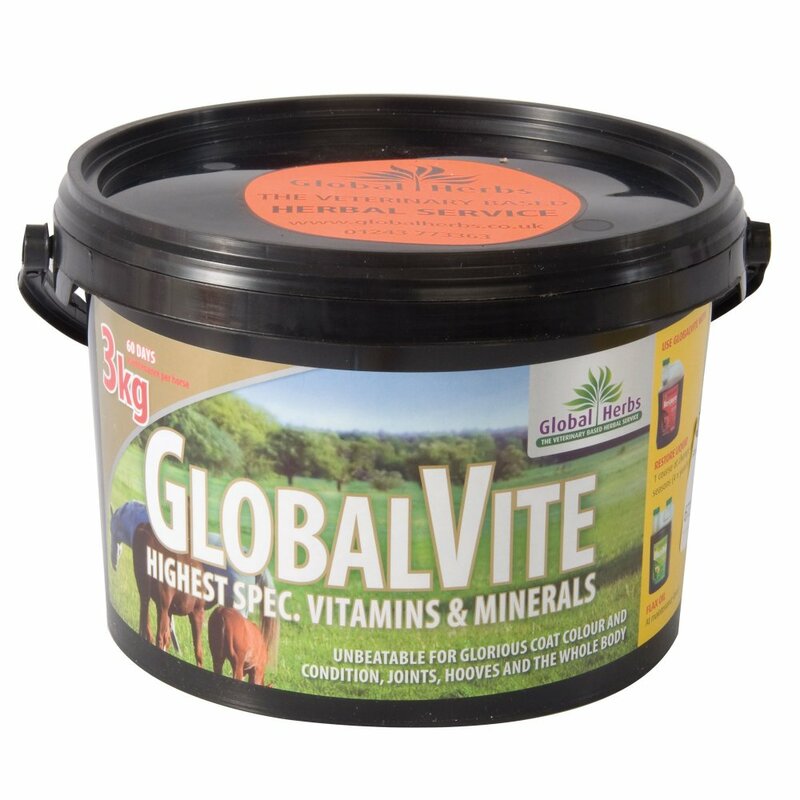 GlobalVite contains important chelated (bound to proteins) minerals that are highly absorbable and as close as you can get to the nutrients in the horses natural diet. The majority of pasture land no longer contains all the nutrients your horse needs. If your horse is deficient in vitamins and minerals it will often show through weakened body defences and weak joints. Global Herbs GlobalVite has been specially formulated to maintain top condition and prime immune system stability.